The Sinai peninsula emerged in late antiquity as a distinct region of the Christian holy land, identified from the fourth century onward as the Old Testament place where the Hebrews had wandered, Moses received the Law, and ‘God’s Majesty descended’. At the same time it was part of the late Roman province of Third Palestine and located deep in the heart of ‘Saracen Country’. The historical essay and accompanying texts in this book enable readers to explore the particular ideals and dangers associated with this remote political and religious frontier. At its core are three Greek narratives previously unavailable in English: Pseudo-Nilus’ Narrations, Ammonius’ Report Concerning the Slaughter of the Monks of Sinai and Rhaithou, and Anastasius’ Tales of the Sinai Fathers. Long known to historians, these narratives, all written c. 400–650, have long been used to reconstruct pilgrimage, monasticism, and Roman–Saracen relations in this area. However, each poses challenging questions of date, origin, and interpretation. In particular, Pseudo-Nilus’ Narrations represents an innovative blend of Greco-Roman (Achilles Tatius), Jewish (Fourth Maccabees) and Christian (Gregory Nazianzene) models, standing out as the last great example of ancient romance. Detailed introductions and commentaries highlight unusual features and shared problems of each text. Readers will also find a comprehensive collection of travel accounts and other documents written on or about the late antique Sinai. 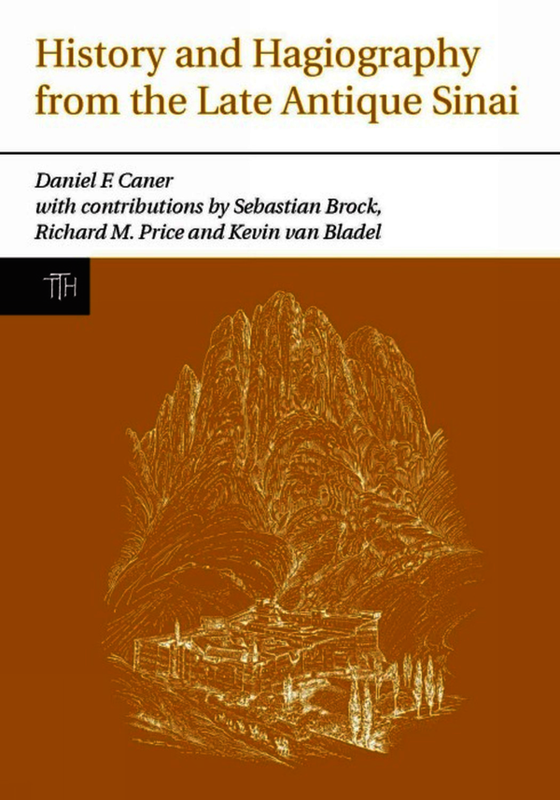 Intended for specialists and students alike, this book makes an original contribution to the understanding of these texts and their place in the late antique development of the Sinai. This book is an important contribution to the synchronic study of the whole literary tradition concerning Sinai in late antiquity and summarizes the current state of research, though without suggesting definitive solutions to problems posed in the philological scholarship on the texts. Daniel F. Caner is Associate Professor of History and Classics at the University of Connecticut. Sebastian Brock is Professorial Fellow at Wolfson College, Oxford. Richard Price is Professor of the History of Christianity, Heythrop College, University of London. His many previous publications include The Acts of the Council of Chalcedon, The Acts of the Lateran Synod of 649 and The Acts of the Council of Constantinople of 553. Kevin van Bladel is Assistant Professor of Classics at the University of Southern California.